You know the cool kid at school? You know, the one all the girls giggle and sigh about and the one all the boys secretly want to be? Yeah, that’s pretty much the description of the Polar3D Printer. This little thing is amazing. One of it’s best features is the price. Unlike the Makerbot, or even my beloved Dreamer, this printer hits way below the $1K price point. In fact, the education pricing for it is just $599! That’s a much more reasonable price for schools, as well as consumers. The price, however, is not the only nice thing about it. The form factor is small and sleek, and the mirrored build plate is a classy touch. It’s extremely easy to set up, and is delightfully portable. Once you get beyond the nuts and bolts, the Polar3D shines even more. It’s wifi connectivity and web-based control interface are simply amazing. Both my Makerbot and my Dreamer have wifi capabilities, letting me send print jobs to them over the network. The Polar3D takes this general idea and runs with it. Once you connect your printer to your wifi network, a realm of possibilities opens before you. The Polar Cloud, their web-based interface, does so much more than just send a print job. Through the Polar Cloud, you can create Clubs, and invite other people (for example, students) to have access to the printer. As the owner, or manager, of the printer, you can decide if club members can send directly to the printer, or to a print queue that requires your approval before it will print. You can share your printer with anyone on the internet! Imagine being able to send a print job to a friend’s printer while on an airplane flying cross-country. That’s what friends of mine did recently with the Polar3D printer. Even if you’re not comfortable giving others access to send print jobs to your printer, you can still share in other ways. The Polar3D comes with a built in webcam that lets you watch the printing process online, and share that stream with others. What a great way to share the printing process with students. 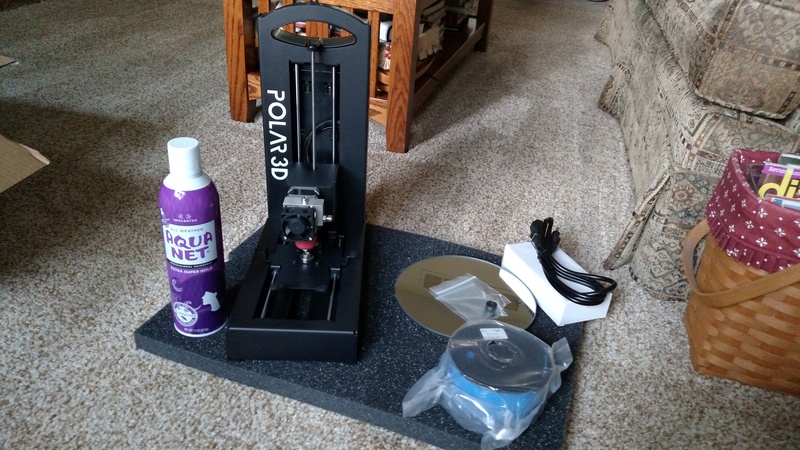 After hearing a lot about this nifty printer from friends, I checked out their website and applied to become a Polar3D Ambassador. 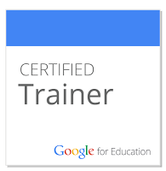 This looked like the perfect opportunity to be able to learn and share with other educators and students. The perk of getting a printer for 50% off didn’t hurt either, but I was planning to buy one either way. The other day, I finally got the email I’d been waiting for – I was accepted into the program! Even better? 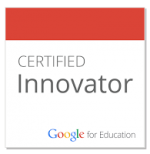 Many of my NJ educator friends were also accepted into the program, proving once again that New Jersey Educators are AWESOME! I promptly logged in to Polar3D to order my printer, and was floored when it turned out my Ambassador code was not actually for 50% off…instead it was for 100% off! You could have knocked me over with a light breeze! After joyously bouncing around for a few minutes, I placed my order. Yesterday, my new printer arrived. I’m having a wonderful time experimenting with it, and I can’t wait to bring it into school to share with my students. 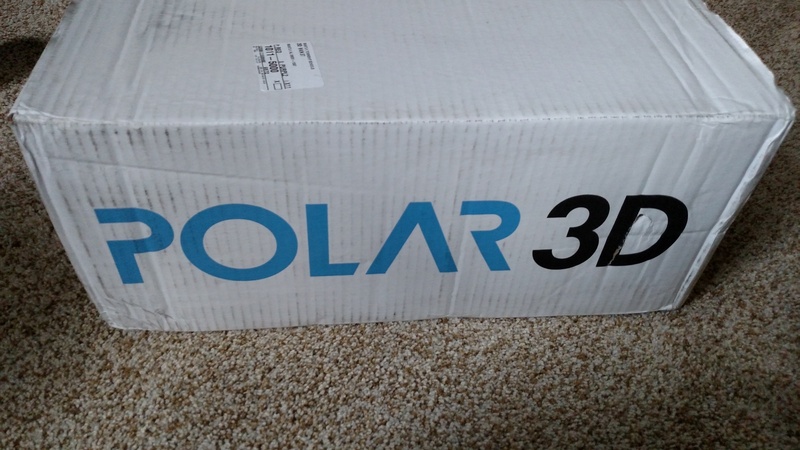 Seriously, if you’re looking at buying a 3D printer, take a close look at the Polar3D. You’re going to love it! What’s in the box? Why yes, that IS Aquanet hairspray included with my package! Unpacked and ready for setup.